What's the most courageous thing you've ever done? 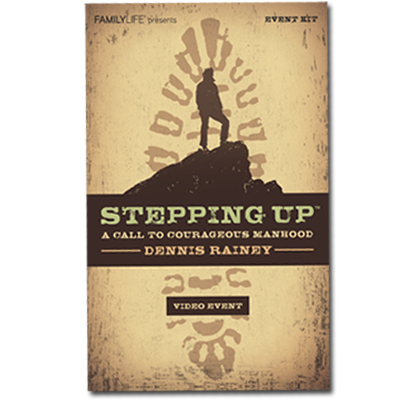 As men, all of us face decisions in life that demand courage. Big or little, complex or straightforward, these choices—let's call them battles—matter a great deal. One courageous choice leads to another; tomorrow's integrity depends on today's bravery. 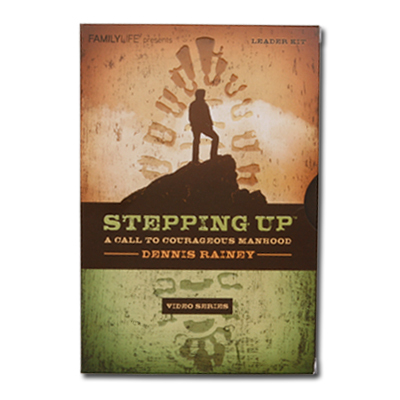 This is the audio book version of the popular Stepping Up: A Call to Courageous Manhood, which is read by the author and recorded with excellent quality by our FamilyLife Today® team. Convenient for listening to during your daily commute or working on your favorite project. 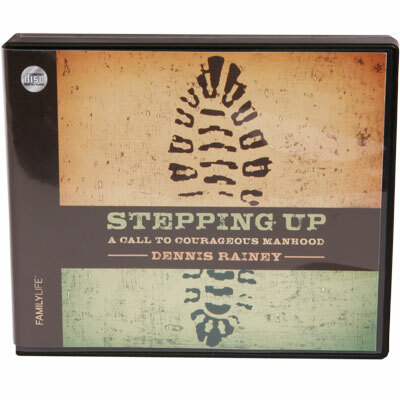 Listen as Dennis Rainey identifies five stages of a man's journey through life—boyhood, adolescence, manhood, mentor, and patriarch—and examines a man's responsibilities at each step. 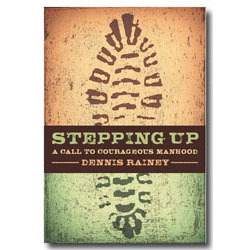 Rainey calls men to seize the moment and take action, stepping up to responsibility and inspiring others in the process. It's about embracing courage, rejecting passivity and cowardice. Ultimately, you'll be challenged to be the man on your battlefield.